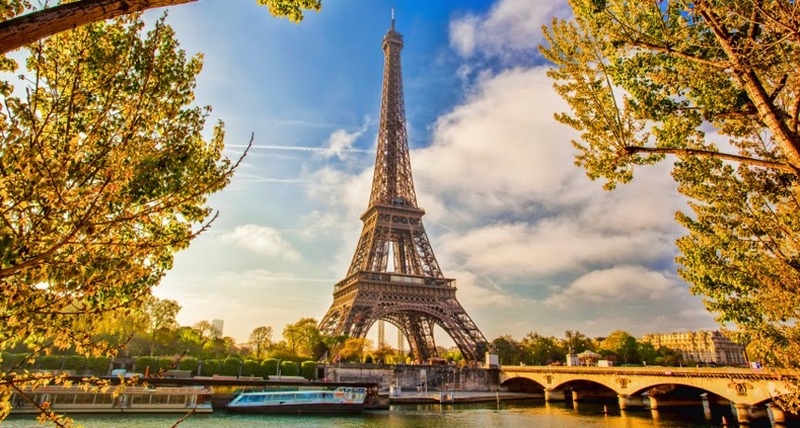 The Eiffel Tower, built in 1889, was created with the sole intention of acting as the entrance to the 1889 World’s Fair, meant to last only a few years. Paris’s most iconic landmark has seen various additions and decorations for holidays and events in its 126 year life span, but it’s latest renovation is a new symbolic and practical addition. Last week, Urban Green Energy, a renewable energy firm, installed two wind turbines near the second level of the tower within the metal scaffolding. The turbines will produce 10,000 kilowatts per hours, enough to offset all the electricity used on the first floor, which includes restaurants, a souvenir shop, and historical exhibits, in a given year. According to CNET, the vertical axis turbines are installed 400 feet from the ground, a height meant to optimize the amount of wind (from any direction) captured. The turbines will not be a sight for sore eyes or ears either; they have been specifically painted to blend in with the tower and the sound produced by the turbines registers at about 40 decibels, or the sound of a whisper. Beyond practicality, the Eiffel Tower’s newest addition will serve as a symbol for renewable energy. Paris has enacted greener policies recently as it looks ahead to the end of 2015 when it will host a global summit on climate change. The city’s sustainability goals include powering all municipal buildings and public lighting using electricity from renewable resources by 2016 and banning all diesel vehicles within city limits by 2020. The latter goal was presented as a plan by Mayor Anne Hidalgo in an attempt to reduce the city’s air pollution. With installing unobtrusive wind turbines on the city’s most famous building, Paris is looking to encourage other cities and people to consider utilizing green technology.